Esports, by definition, is player vs player; two players or teams competing against each other in a video game. But what do you call it when someone is competing against the game itself? Player vs environment could be one name for it but a more fitting name would be speedrunning. Speedrunners get from A to B in a video game as fast as is humanly possible. Sometimes the aim is just to complete the game (any%) or to 100% the game as well as finish in the quickest time. The scene covers every platform and game you could imagine. It’s so vast, there isn’t even a point in doing a from this game to that game line here. Basically, if you can think of a video game, chances are there’s a speedrun of it. Why do they do this though? Getting the fastest time is important to all speedrunners but there’s another more important reason. Most speedrunning events are organised to raise money for charity. Games Done Quick 2019, the largest speedrunning event of the year, very recently raised over $2.4 million for the Prevent Cancer Foundation. 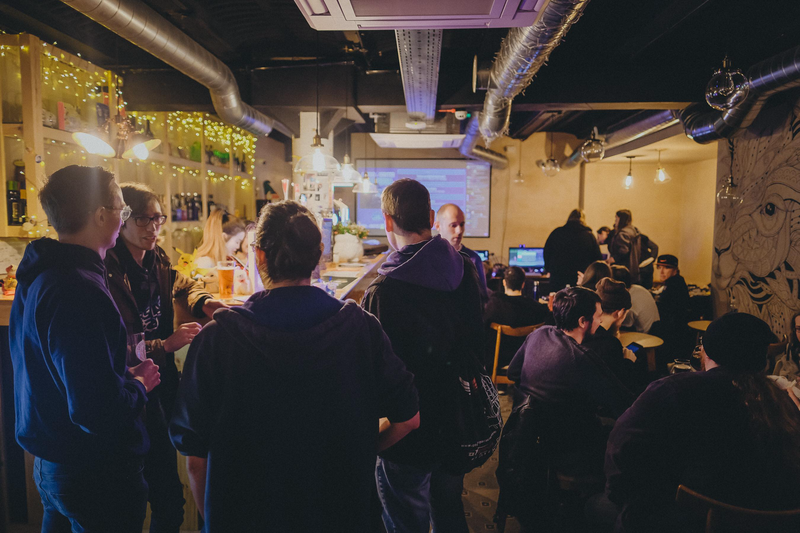 Last month I attended United Kingdom Speedrunning Gathering (UKSG) Winter 2019 held at The Summoners in Glasgow. The group, which has been active since late 2017, organise speedrunning events in Glasgow to raise money for YoungMinds, a charity who support children suffering from mental health issues. The event itself was awesome. I’ve been a fan of speedrunning for some time now but never been to an event to watch runners live. As expected, it’s very different from watching on a screen. The atmosphere when the runner does a difficult skip and everyone cheers is electric. The biggest thrill was when donations hit $1,000. This was the first time UKSG had ever hit 4 figures. All you had to do was look at the event organisers to see how much it meant to them. Needless to say, everyone there cheered and clapped for a good minute when it happened. The stars of the show are the runners though. Some highlights were Fallout: New Vegas by Akarion, Resident Evil 1 Remake by Spectraljoker, Crash Team Racing by Natty and, a personal favourite of mine, Mickey Mania by linkboss. The highlight of any speedrunning event is the Sonic block though and UKSG Winter was no different. Sonic Mania and Sonic 3D Blast (Sonic 3D: Flickies’ Island) were run by Argick, Sonic Adventure 2: Battle by Drumbasher004 and Sonic the Hedgehog 2 by linkboss. The biggest thrill during the Sonic block had to be when Argick and linkboss ran Metropolis Zone on one controller. Not only did they get a really good time but they also managed to do extremely difficult skips which most people would find difficult doing normally nevermind only holding one half of a controller. Overall, UKSG Winter 2019 was the event organisers biggest event to date. There were 1,598,208 minutes watched over the whole event with max viewers of 1,921. Their final donation total was $1,400 which is outstanding considering they were aiming for $600! If you have any interest in speedrunning, either running or just watching, then I couldn’t recommend UKSG events more. Their next event, UKSG Spring 2019, has already been announced for March 23rd and 24th with full details being found here. You can also join UKSG Discord here and find out more about Young Minds and the work they do here. A final shout out has to be given to the UKSG team especially head event organisers CDRomatron and Paulister. All of them should be highly praised for not only producing amazing events but for raising money for such a good cause.